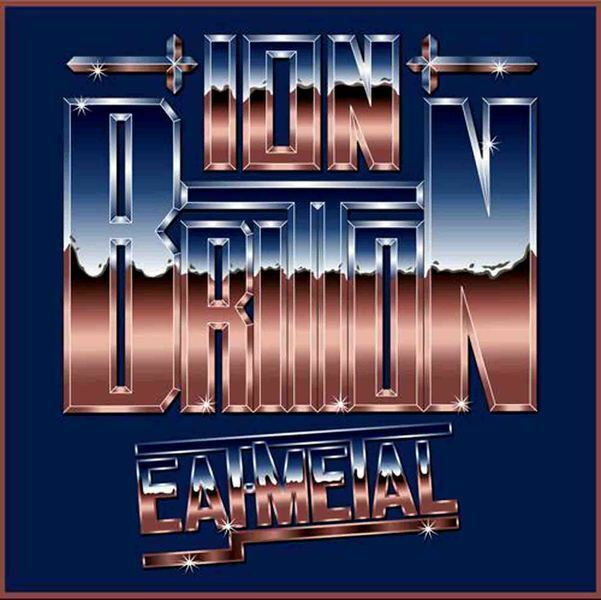 Formed 1982, Lincolnton, North Carolina U.S.A.The sleepy small town of Lincolnton didn’t know how to react when a group of guys got together to form Ion Britton. A different time it was. The band endured protesters outside venues and negative press by organizations and individuals. Still, Ion Britton moved forward, a new sound was calling. The popularity of 80’s heavy metal music was in it’s infancy. Soon, a generation would be listening and attending concerts to hear bands like Metallica, Saxon, Trooper, Judas Priest and Iron Maiden. 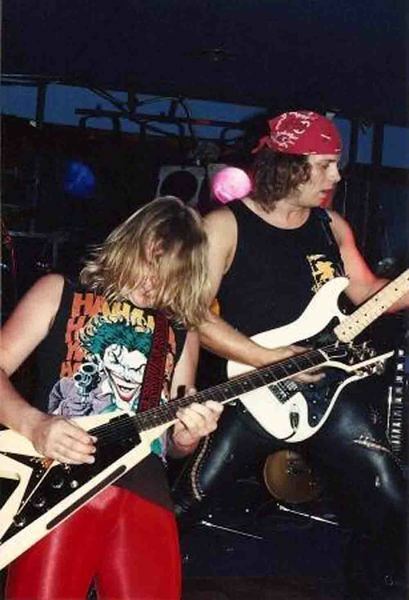 During this time, Ion Britton began playing gigs and forging their metal brand which combined American hard rock with an aggressive British metal. Ion Britton uniquely blended twin guitar power solos and soaring vocal style to climax their music. The sound caught on and soon gigs expanded to Charlotte, North Carolina and before long extensive regional concerts throughout the southeastern United States. Finally, they began playing arenas along side Blue Oyster Cult, Queensryche, and countless other acts of the day. The bands popularity began to rise overseas. 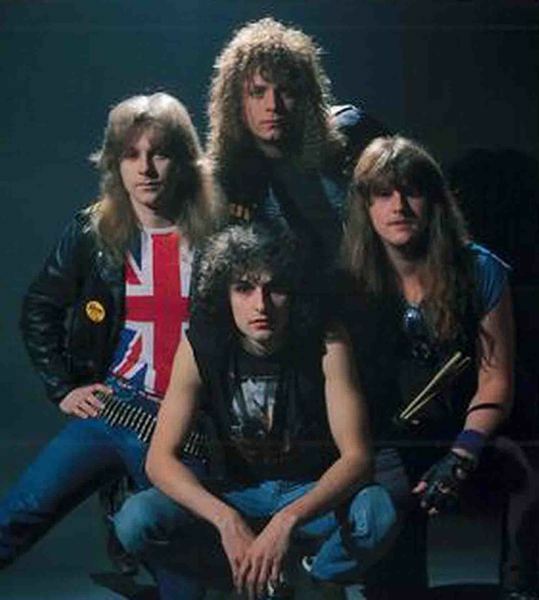 In 1987 they were encouraged to break from touring and record at the famous Reflection Sound Studio in Charlotte, North Carolina, with legendary recording engineer Mark Williams. The Eat Metal EP has since become a staple in heavy metal music and earned Ion Britton a place in metal history. The resurgence of the genre in the mid 1990’s led to import bootleg recordings of the album. An original vinyl Eat Metal EP has sold for as much as $800.00 on eBay. 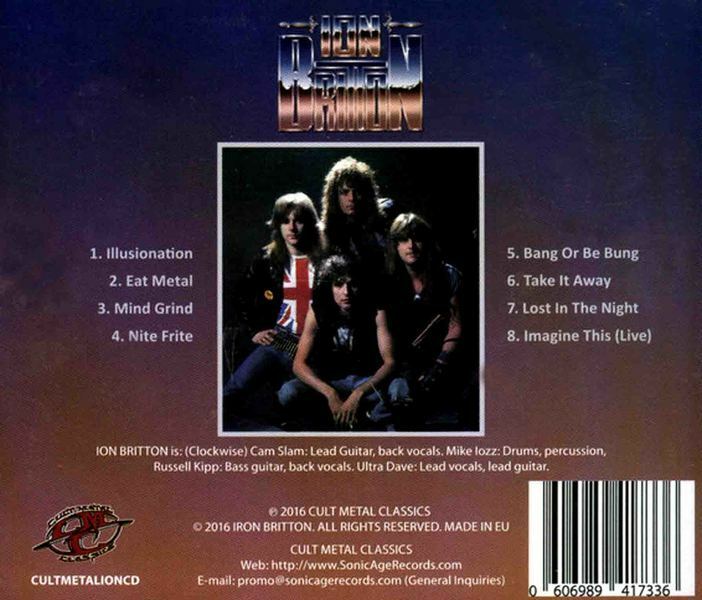 Due to overwhelming requests by fans, the band agreed to re-release Eat Metal on compact disc which quickly sold out. The band returned to the studio in 2009 and released another album entitled “Wired”. Ion Britton’s records have worldwide distribution and receive airplay in Australia, Germany, Switzerland, Costa Rica, Japan, Amsterdam, New Zealand, and Australia to name a few. A new generation of fans has led the group to continue recording. A new album is due for 2012 as the group celebrates it’s 30th anniversary. 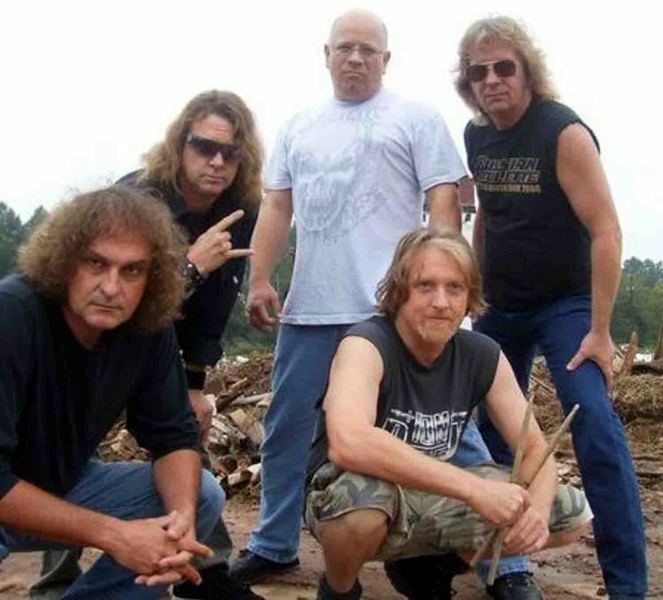 Hailing from Lincolnton, North Carolina, ION BRITTON have gained a cult status through the years, due to their classic legendary 4-song EP released back in 1987, entitled "Eat Metal". The original EP was released in 1000 copies and since then has become a highly sought after collector's item.With pride we present to you the official re-issue of the EP, that will be available on limited CD and LP. This CD version contains 16-page booklet, loaded with photos, band story and lyrics. It features previously unreleased bonus tracks, which are digitally remastered to ensure maximum listening quality.